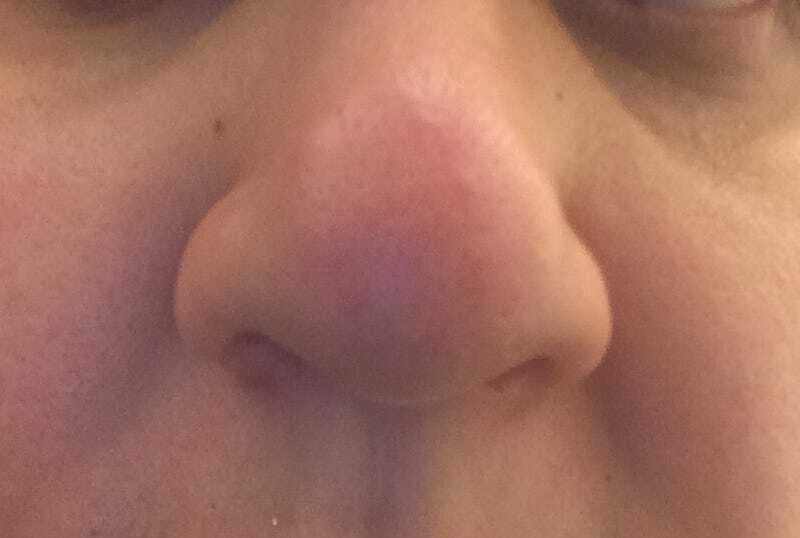 I woke up this morning with feeling like I was getting a zit on my nose. Throughout the day, it has felt like the pressure has been building, but it hasn’t come to a head. It’s at the point where my nose hurts when I cough. Is it just some sort of monster zit, or could it be something else? I’m putting warm compresses on it and strong zit cream. Anybody have any other suggestions?